What happens if we sever, one by one, the bonds that hold a material together? Eventually everything will fall apart, but just before it does there is a critical point - the so-called marginal point - at which the material is only just mechanically intact. In this FOM programme FOM postdoc Dr Matthew Dennison (who works at the VU University Amsterdam and Eindhoven University of Technology) discovered that materials around and even below this marginal point display unique mechanical properties: there are far stronger than they ought to be. Dennison's work was published in 2013 in Physical Review Letters. Classical network models reveal that materials just above the marginal point have some amazing properties. The stiffness of such materials, for example, increases when the material is strongly deformed. Just below the marginal point however, the material ought to have no mechanical strength at all – it should be completely floppy. This floppiness only occurs if the temperature is left out of consideration. This may be the case if it is zero, or if the building blocks of the material are so large that thermal fluctuations (the spontaneous changes that occur at molecular level due to the random thermal motion of all molecules) have no effect. Dennison shows that when the temperature effects may not be ignored, networks just below the marginal point can nevertheless be strong. 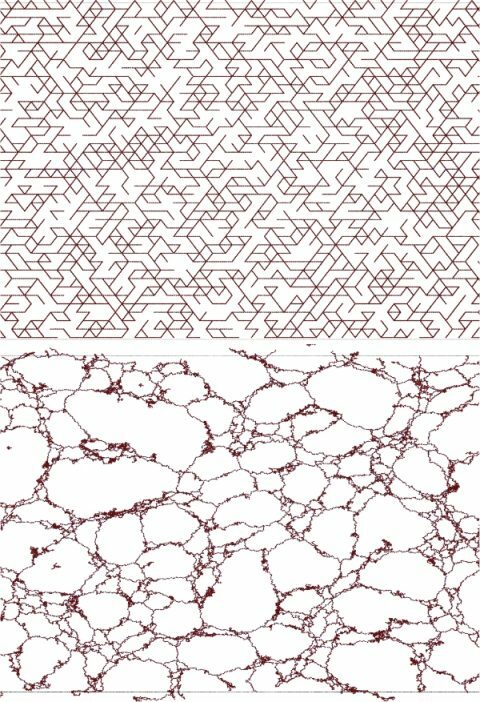 These exotic, submarginal materials owe their strength to those same thermal fluctuations. The complex structure of a marginal network – a sparse spider's web of tenuously connected material – responds particularly strongly to fluctuations. While fluctuations in ordinary matter tend to dissipate quickly, in a marginal material they may propagate over large distances. 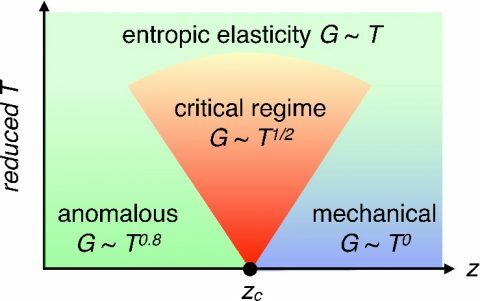 Dennison finds that this structure on the brink of instability responds in a unique manner. For instance, the mechanical stiffness of the material increases in a non-linear relationship with the temperature, as T0.8. Dennison's predictions can be tested directly in experiments. This is no simple task: it is extremely difficult to directly measure the connectivity of a material. Nonetheless, Dennison's theory provides a direct and recognizable signature of the marginal state, removing an important barrier on the path to new high-tech materials. Top: a marginal network on the computer. 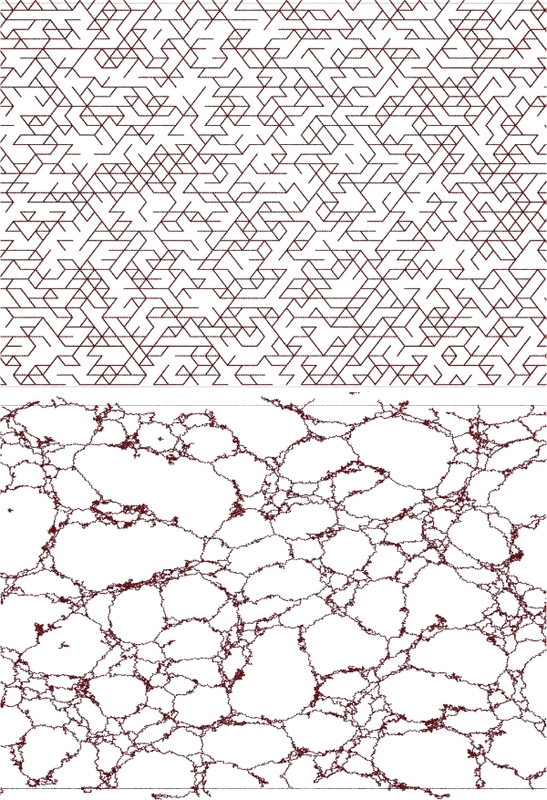 By repeatedly deleting bonds from an initially well-connected structure, we bring a model material increasingly close to the point of its collapse. By stretching floppy structures (bottom), a material can also be prepared exactly at the marginal point. Marginal materials have a complex phase diagram. 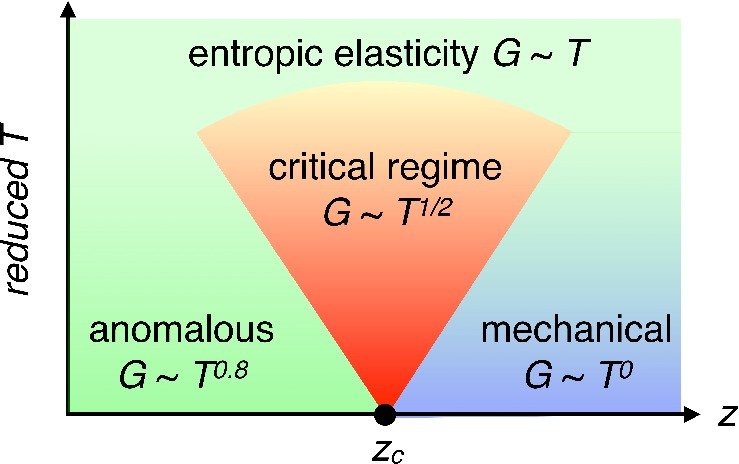 The anomalous effects of temperature (the green and red regimes) are not just limited to one special critical point, but extend over large parameter regimes. This behavior is highly reminiscent of other, even more exotic, critical states in quantum systems.